The one thing that I do recommend to all of my students is that they buy artist or professional grade watercolor paint and paper because it really makes a difference when working with watercolor. It may seem like they could save some money when buying watercolor supplies by buying the student grade paint and paper, but because these student grade supplies don’t work the same the students end up getting frustrated. The student paper is often made of wood pulp and can’t handle the same techniques. This paper also dries a lot faster and that will cause streaking and blooms to happen more readily. The student grade paper often tears when using masking tape or masking fluid to protect areas until we are ready to paint them. Student grade paints are another problem. Students will often buy the cheaper, student grade pigments. However, these paints include a chalky filler to extend the pigment in the mix and make them less expensive. The chalky filler will make these paints less vibrant and more opaque compared to professional watercolor. Students may have paid less for the student grade paint, but they tend to use more of it because they are trying to get the same intensity as I get with my professional paint. Watercolor paint is unlike acrylic and oil paint because it can dry out and be re-wet. You don’t throw it out like you do with acrylic or oil after they have hardened. 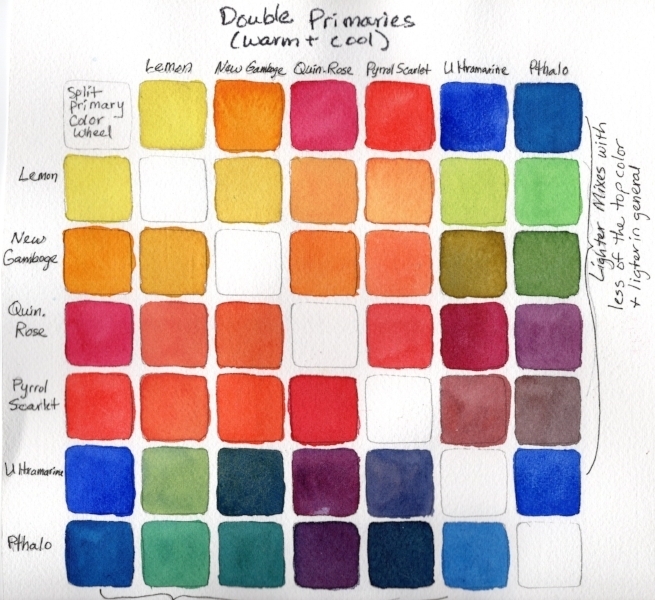 So, it takes a long time to go through a tube of professional or artist grade watercolor. The brushes are the third basic watercolor supply that can make a difference in how easily it is to learn and work with watercolor. The most important thing is to get brushes made for watercolor not acrylic or oil brushes. There are better and better synthetic watercolor brushes, three brands that are decent are Princeton Neptune, Golden Fleece by Cheap Joes, and Grey Matters by Jack Richeson. My current favorite brushes that cost a little more than synthetic brushes are a brand called Silver - Black velvet. These brushes are a blend brush made with half synthetic bristles and half natural hair. At least two round watercolor brushes that come to a good point - a size #16 or larger and around a #6 to #8 (If you have other brushes, please bring them. My current favorite brushes are a #16 or #20 blend (½ synthetic/½ natural) - Silver Black Velvet brushes (a little more expensive), or a #8, Quill by Princeton Neptune (less expensive). A small flat #2 or #4 brush is good to have, too. As a watercolor instructor I ask my students to purchase the professional grade watercolor paper rather than student grade because the surface can really make a difference when painting with watercolor. Professional grade watercolor papers are made with 100% cotton fibers as compared to student grade papers that are often made with wood pulp or a blend of synthetic and wood pulp fibers. Professional, 100 % cotton papers are acid free and free from impurities that can damage the paper over time. Wood pulp papers do not have all of the acidity removed and contain natural impurities that can cause the paper to yellow, age, and break down over time. Yes, student grade watercolor paper can cost less and there is a perception that they are just students, so they don’t need to spend more and get the professional paper. Even if the student doesn’t care if their early works survive, the problem with the student grade paper is that it doesn’t work the same way with watercolor as the professional paper does. Therefore, the money they put out for the student grade paper is a waste because they are not going to have a good experience when trying to learn watercolor techniques. One of the issues I have noticed is that student grade paper can dry faster. So, when I show them how to do a smooth glaze on my professional grade paper and they try to replicate it on student grade paper, they often end up with the brush strokes drying too quickly and that will leave lines and banding. Another issue is that there is a different amount of sizing in student grade paper that can lead to the watercolor behaving poorly. The professional grade papers have sizing and different brands use different amounts and kinds of sizing. With the student grade, wood pulp paper, the sizing is often over-done leading to the paper resisting the paint, the paint will bead up and run off, or if there is too little sizing the paper will be too absorbent and the color will look bland. I have also noticed that the student grade paper tends to lead to more blooms and muddy colors. If the student is not seeing the same effect on their paper, so they tend to over work it by going back into the same area multiple times and this can cause blooms, muddy colors, or marred paper. This brings me to my final point, the wood pulp paper can not handle the same techniques that most professional watercolor papers can. I use masking tape and masking fluid on my Arches - 100% cotton paper. However, these techniques do not work on the student grade, wood pulp papers. The masking tape and masking fluid will tear the surface upon removal. 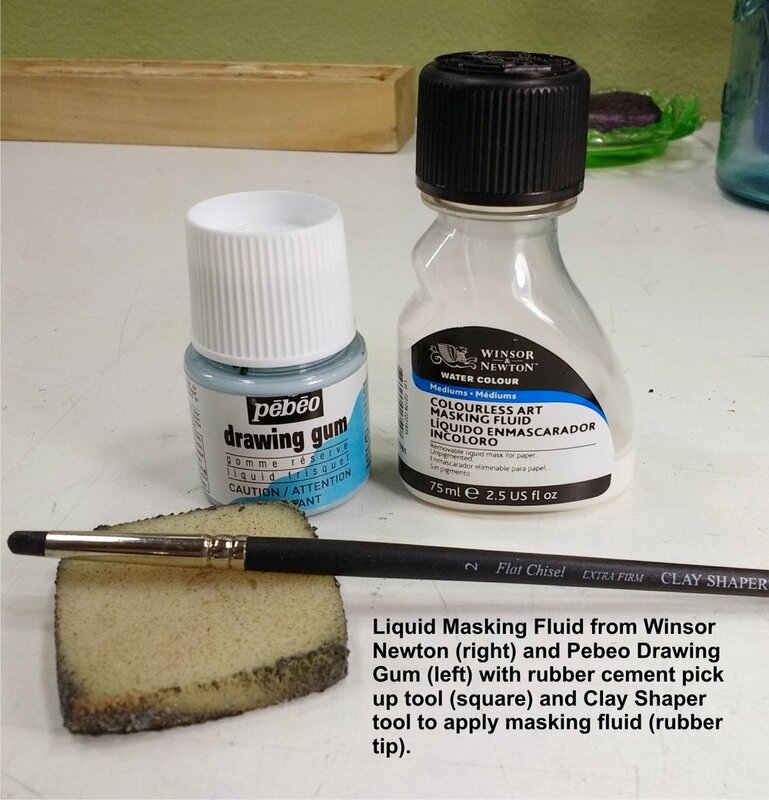 I also use a flat brush to lift color off of my paper and this technique can often scratch or tear the surface of the wood pulp paper. There are some professional grade papers that don’t handle these techniques as well as the Arches brand. If you are new to watercolor, I would suggest buying the “Professional Grade” 100% cotton watercolor paper over the student grade, wood pulp paper. The process of learning watercolor can already be a bit daunting without adding another issue into the mix. A sheet of 22” x 30” watercolor paper can be torn up into smaller pieces and both the front and back of the paper can be used. 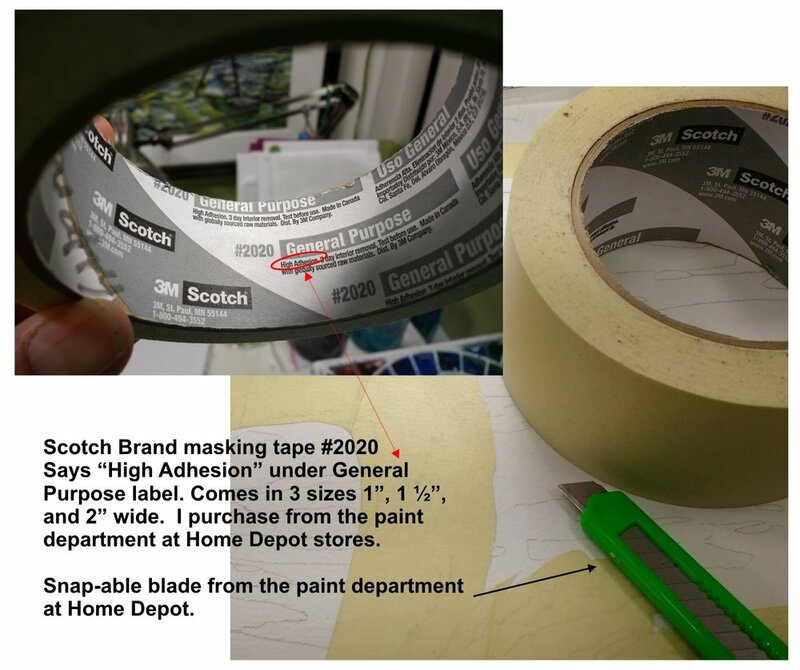 So, if you are trying techniques, color mixing, or doing a painting, the backside is still usable because the paint will not seep through to the opposite side. 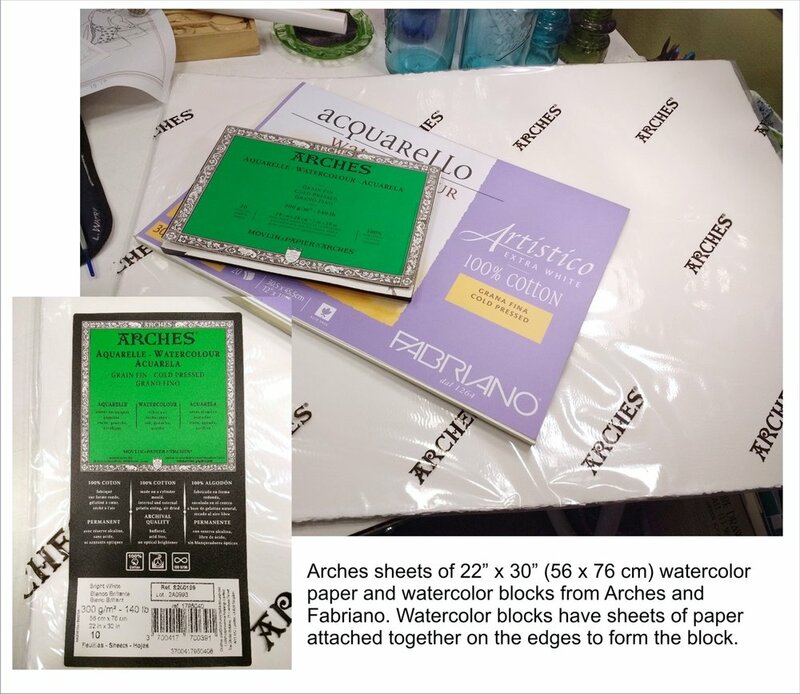 Good “Professional” brand papers are: Arches, Fabriano, Jack Richeson, Kilimanjaro, Lanaquarelle, Saunders Waterford, Twinrocker, and more. (if you really want to learn about the technical aspects of these papers, look at www.handprint.com/HP/WCL/paper2.html. My favorite paper right now is Arches, but I also like Fabriano. Arches handles a lot of abuse, taping, masking, and scrubbing without issue. Watercolor paper comes in standard weights: 90lb., 140lb., and 300lb. There are a couple of brands that have weights in between these or heavier. The weight refers to a ream (500 sheets) of 22”x30” paper. For example, a ream of 140lb. paper weighs 140lbs (US) or 300gsm (European). The weight I use most is 140lbs. I stretch my 140lb paper so that it doesn’t buckle when I am painting on it. (see my “How to Stretch Watercolor Paper” on Youtube). There is a little difference in how much the paint is absorbed between the different weights. Try them out to find the one you like best. Three standard surfaces of watercolor paper - Hot Press, Cold Press, and Rough. Hot press is paper that has been pressed with heat to give the paper a smooth surface. Cold Press (or NOT “Hot Press” in Europe) is paper that has some texture. Rough is paper that has the most texture. I use Cold Press paper the most because it is sort of a middle of the road paper that can handle a lot of different watercolor techniques. I use Hot Press for ink and watercolor because the smooth surface works well with ink pens.